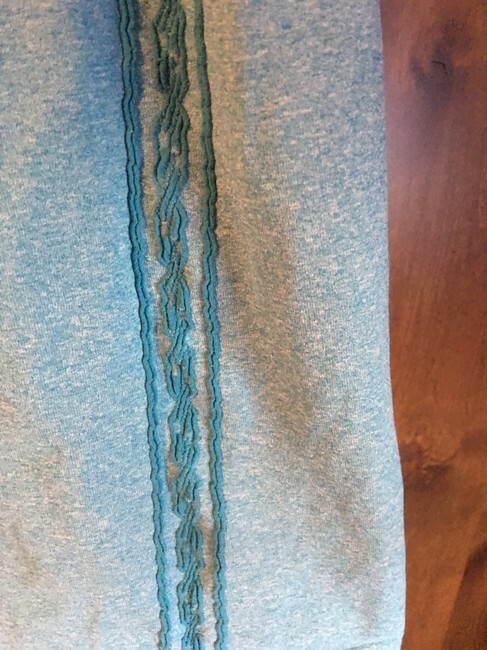 This is an Athleta racer back workout top. 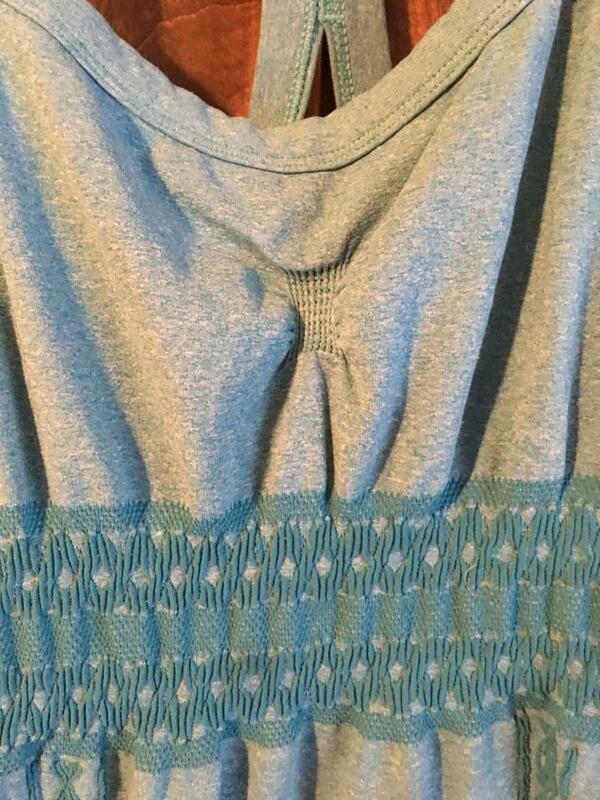 It has a built in unlined bra. Although this too is a medium it fits mire like an xs, its very tight but flattering. Also has a really pretty stitching around the waist and down the front. 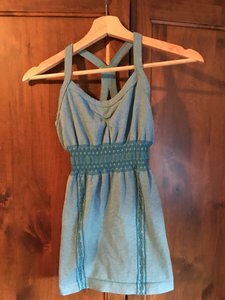 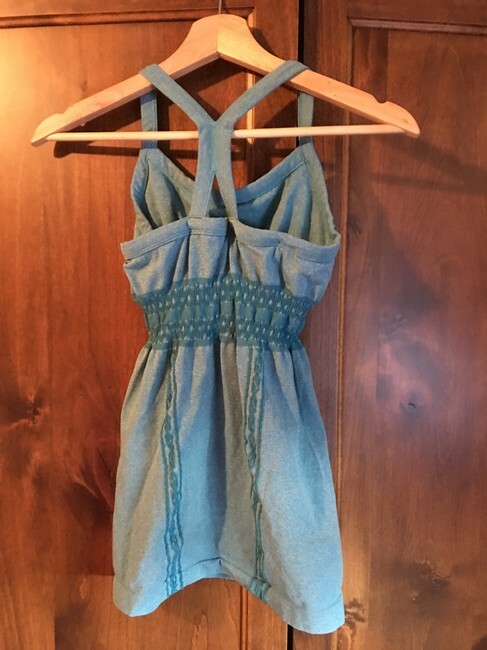 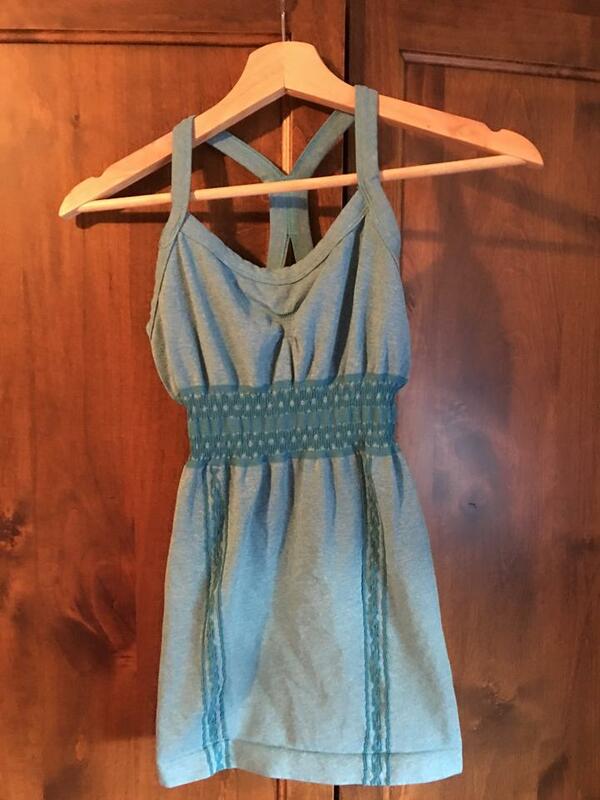 This has not been worn more than a few times and is in great condition it does not show signs of wear except on the inside wear the tag is per its part of the shirt.